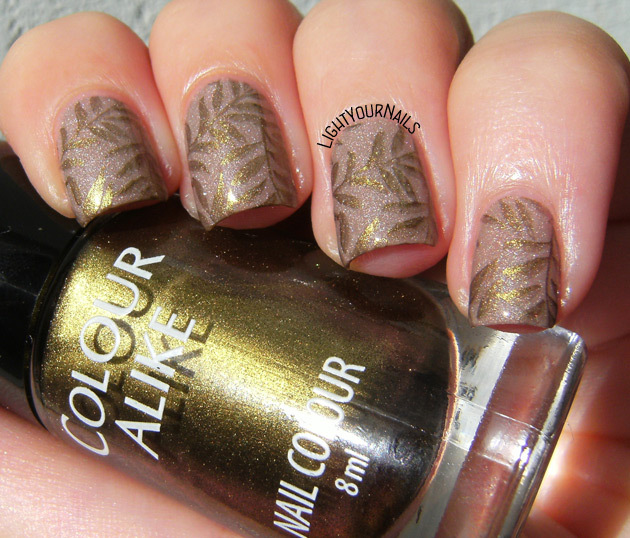 Foliage stamping | Light Your Nails! I even tried using a matte top coat but I honestly didn’t like it matte and went back to glossy afterwards. Ho anche provato a mattificare questa nail art ma l’esperimento non mi è piaciuto e ci ho rimesso sopra un top coat glossy alla fine. If you feel like you’ve seen the pattern before it’s easy said why: it comes from my beloved BP-19 plate from BornPrettyStore. 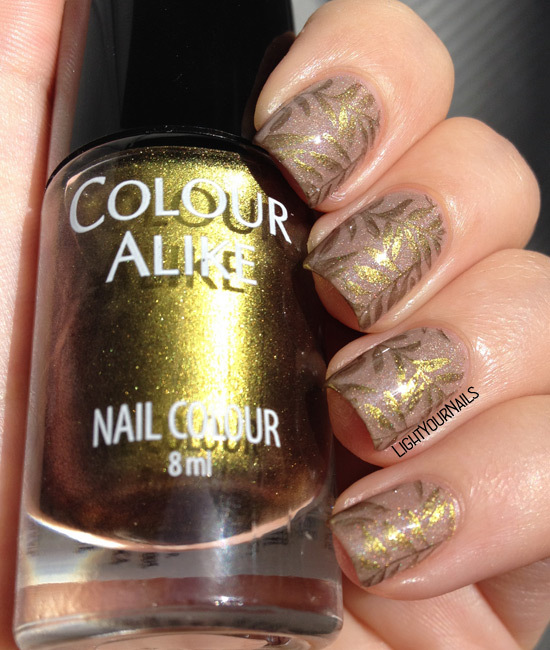 I used this same plate last week for my Welcome Fall mani. Se il disegno vi sembra conosciuto è presto detto il perchè: è uno di quelli sul dischetto da stamping BP-19 di BornPrettyStore che ho usato anche la scorsa settimana per la mia manicure di benvenuto all’autunno. By the way, rain hit us today and it’s so dark outside :( What’s the weather like in your side of the world? And what are you wearing on your nails? Cmq la pioggia è arrivata oggi e fuori è scurissimo ç_ç Lì da voi com’è? E cos’avete sulle unghie? It looks better glossy. Colours fit great! Molto meglio in versione glossy, perchè io non ho ancora comprato questo dischetto?!?!?! this is lovely. It glows when matte. 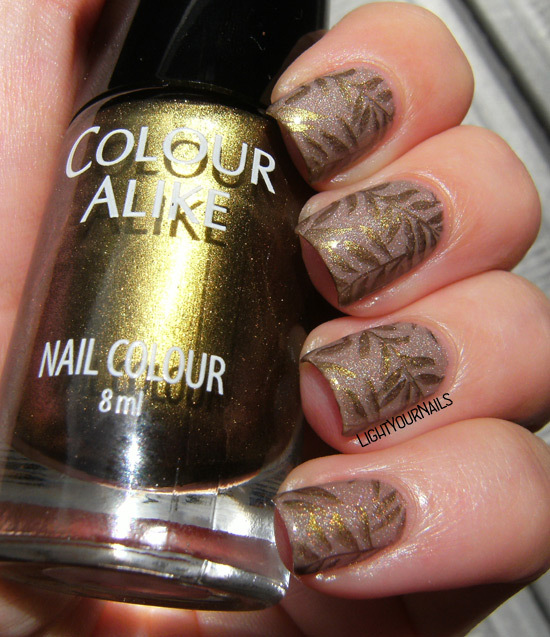 That is a gorgeous stamping look! I love it mattified. Both polishes used are lovely. They work very well together. Absolutely gorgeous! Matteing it was the right thing to do. Beautiful! These are beautiful!! The colors play so well with each other! Thank you Lothwen! I am glad you agree because almost everyone seems to like it better matte haha! Beautifully done and that matte top coat over it? Perfection! Love the color combo you used here. It's very refreshing. I live in SoCal, so the weather here is HOT! October is basically over, and we're still in the upper 80's. I can't wait until next week because we're supposed to be in the 60's. I'd love to live somewhere where it's good weather all year long!